The hotel is located in SHINJUKU.It is two minutes away from the Metoro station named SHINJUKU-GYOENMAE station on the Marunouchi line (red line). Situated right by the Shinjuku Imperial Garden, which has fantastic landscapes and shows all the beauty of Japan as its colors change from season to season, you will enjoy a very restful stay in a quiet area. From 5th of January, Shinjuku City Hotel N.U.T.S Tokyo will undergo renovation of the guest rooms on 4th floor. During the renovation period, smell and noise might take place. We are sorry for inconvenience and thank you for your cooperation. We have couple of room re-decorated in Modern Japanese Style designed by famous architecture called upsetters. JAPANESE new graphic art you can see at the 6th floor. Modern JAPANESE ROOM WITH TATAMI En Suite for 2pax. Modern JAPANESE ROOM WITH TATAMI En Suite for 5pax. 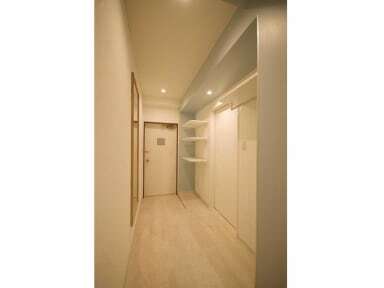 Modern JAPANESE 3bed superior ROOM for 4pax. 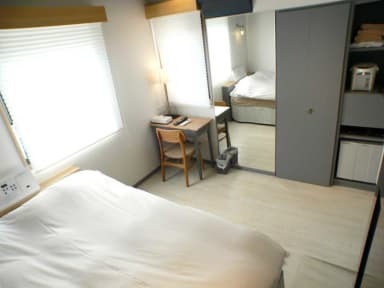 Being located in the very heart of Tokyo city, conveniently close from one of the capital most famous avenues (Shinjuku Dori), you will easily reach all the business, We are only hotels in tokyo near shinjuku2cho-me where are famous for foreigner, shopping area and entertainment facilities within walking distance. 1minutes from nearest POSTOFFICE where has ATM. 2 minutes to go to SHINJUKU-GYOENMAE STATION on METRO by foot. 10minutes to go to JR SHINJUKU CENTRAL STATION by foot. 2minutes to go to Shinjuku Imperial Garden by foot. 15minutes to go to AKIHABARA by Metro. 20minutes to go to ASAKUSA by Metro. 15minutes to go to TOKYO station by Metro. 10minutes to go to HARAJUKU by train. 15minutes to go to SHIBUYA by train. 75 minutes to go to NARITA INTERNATIONAL AIRPORT by Bus. City Hotel N.U.T.S is the perfect and popular destination for business, pleasure or a combination of both. We extend to you our best wishes for a pleasant and memorable experience at the City Hotel NUTS. The Shinjuku CITY HOTEL N.U.T.S is found in a 7-story building. Rooms and Suites: Shinjuku City Hotel N U T S Tokyo has 30 rooms that are available in both traditional Japanese and also western style. Bath rooms are larger than other hotels around are.You can take a bath without bending knee.It has jacuzzi(limited) to rid of tiredness too.The rooms are all equipped with television sets, Internet access, tea and coffee makers and also several bathroom amenities. Better than more words, just take a look at the pictures. Free Wi-Fi Internet access is available in the room. Free mike and headphone for Skype user\'s. city_hotel_nuts is ID for SKYPE. Great spot. Good location. Mega clean and our 4 ppl room was just great. Near (3 min Walk) the Subway station with a Lawson's on the way there and a laundromat um front. Great place. Tried Booking it again when leaving but it was already full. Will consider it as Often as possible. Quite close to the Shinjuku main area. We had a family room on the other building ( there are 2 buildings). The room was big enough for 4 adults and very clean. Hotel NUTS is in a great position in Tokyo. Easy walk to the train station and the line takes you any where you'd like to go. We stayed in a twin room which was clean and comfy ( not that you'll be spending a lot of time there). Shared bathrooms were clean and nice. A good cheap (by Tokyo standards) hostel/hotel. This was probably my least favorite accommodation during my stay in Japan, but it has some redeeming qualities. The beds are very comfortable and the place is very clean. It’s in a good location with easy access to public transit, restaurants (ramen places) and bars. While it isn’t what I was looking for, it would be good for couples or groups. Hostel was close to train station and the Japanese room was very small but clean. Actually I booked a wrong room but they did not give the exact room as well. So I booked a room for 5 person but I got bed for three person and a sofa bed and a small sofa. The sofa bed and small sofa should not count as bed. Place not clean and rundown. We got a smelly smoking room and asked to change rooms. New room was not clean. We decided to leave hotel and had a long and unpleasant dialog with staff. We made contact with Hostleworld but they were unhelpful ! We found a nice local hotel and tried to forget the first day.